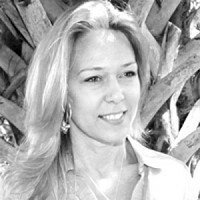 When Lori Strickland’s ring fell down the drain, two things happened. 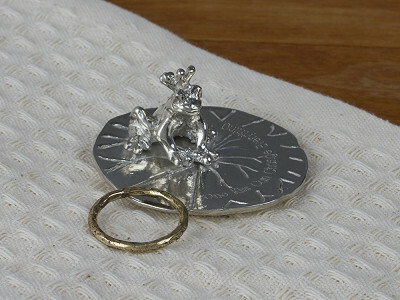 First, Lori’s husband’s prediction came true (because she kept leaving her rings on the sink edge to wash dishes). 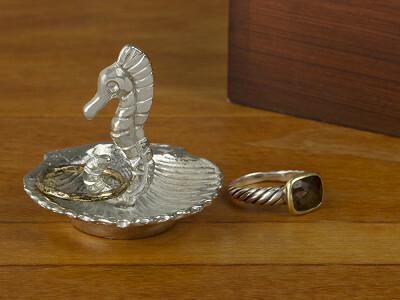 Second, the idea for the Lucina K. pewter ring holder was born. 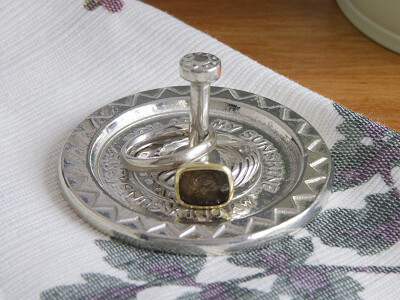 Trained at the Gemology Institute of America, Lori designs each beautiful ring holder herself. 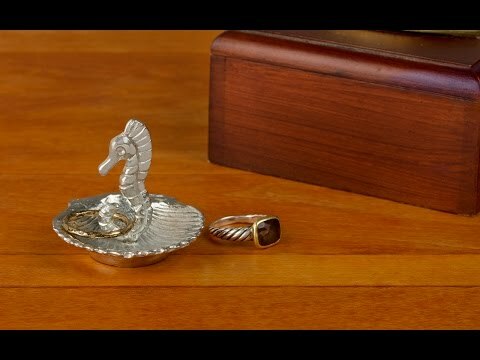 Using an ancient technique called lost wax casting, they are first sculpted in wax, then cast in solid, lead- and cadmium-free, 100% American pewter. 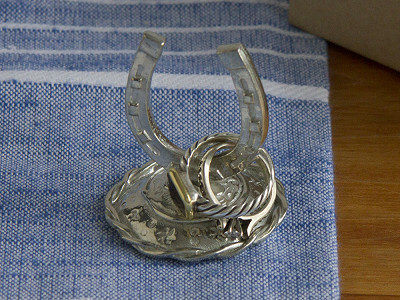 The ring holders are presented in an organza drawstring bag inside a giftable box. 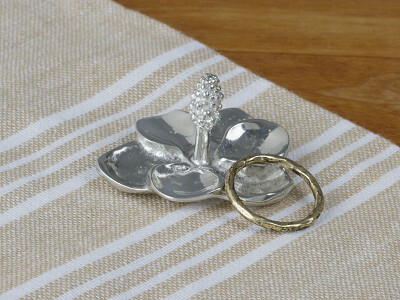 It’s a perfect wedding or engagement gift, as it will keep those precious rings safe. 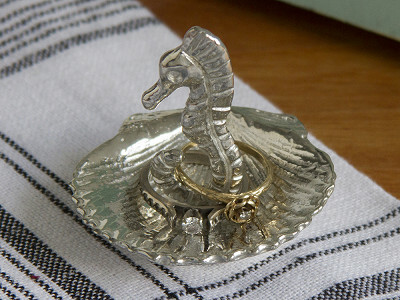 Lori named Lucina K. after her grandmother, and makes all of her pewter ring holders in Florida. They’re like functional sculptures—useful and beautiful at the same time. Hello everyone! I'm proud to introduce Lucina K. to The Grommet. I'd be happy to answer any questions you have! Does the pewter react with any metals, minerals, or stones? 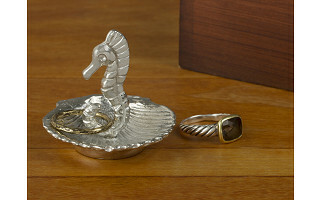 The pewter that we use is the highest quality alloy available exactly for this reason. It will not react to any other materials used to make jewelry such as metals, minerals or stones.